In my experience, of friends who have used them, Garmin devices are either absolutely fantastic or immensely frustrating. When they work, they do an excellent job, but they are so prevalent that you’d expect a few people to have niggles with them… and bad press always trumps good news when people want to share their experiences, and unfortunately you’ll see those bad news stories more regularly when you start digging for reviews and feedback. Winding back a bit… I like to track my routes and runs with Strava, but a combination of the GPS being fairly battery-hungry and the battery in my iPhone 5S being rubbish, meant that anything over two hours was always a challenge. There was always the likelihood that the phone would power down losing the ride details, but worse it meant that I was left with perilously little battery late in the ride to call (or even txt) home if I ever needed to, which wasn’t great. So late last year I started looking for a GPS-enabled device that would allow me to record longer rides, at least five hours, without having to use the iPhone. 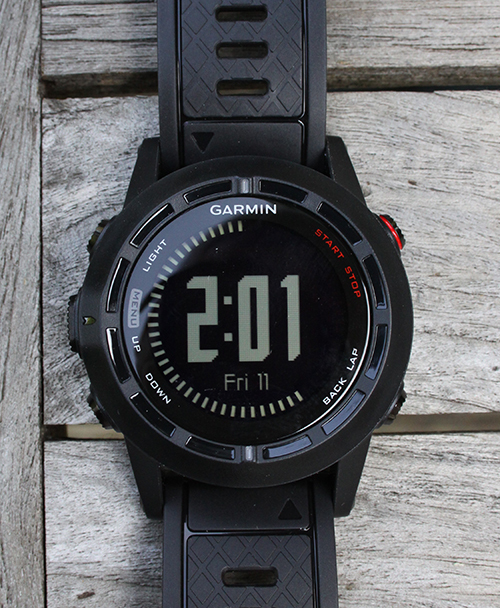 Initially I was going down the Garmin Edge route, which is a bike-specific device, but the triathlon seed had also already been sown, so my search was extended to look at watches that I could use on runs and even swims… and when Sport Pursuit offered a Garmin Fenix 2 for sales at a heavily reduced price that seemed like the perfect solution. Out of the box the Fenix is a lovely looking watch. To be fair, it’s going to look massive on smaller wrists, but it exudes an obvious solidity and good build quality. This device measures your heart rate via a chest-strap, which was included, although it’s worth noting that newer versions are starting to capture heart rate from the wrist band. Everything was going to plan until I headed out for my first cycle ride, which was a night spin around our local trails. I know at some point I had to stop to adjust the bike lights, but it was far from an extended break in the session, and around that point the Fenix stopped recording my ride. That was frustrating, so I poured over the manual and forums to understand what might have happened. There was a suggestion that it might have been to do with a lap-counter, but that was switched off, and another suggestion was regards the device software level, but that was up to date having been synced shortly after I took it out of the box. 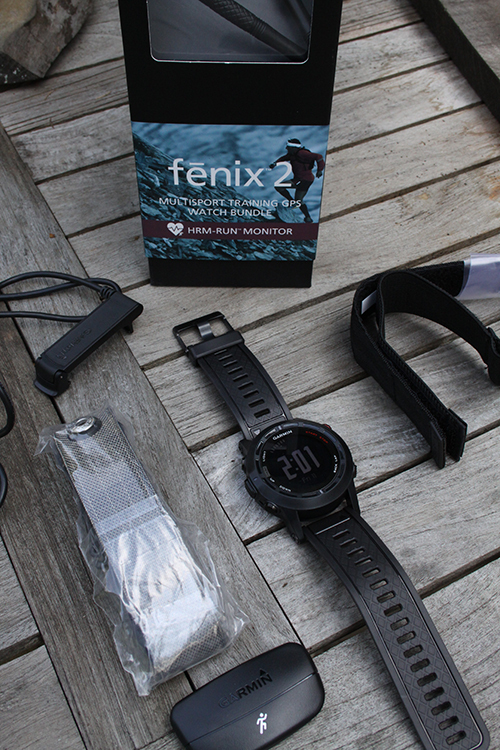 Another ride and a run later and the Fenix had still failed to record a full session – it was getting frustrating. There were no obvious issues and after several forum discussions I still couldn’t understand why the Fenix wouldn’t record a simple ride/run out of the box, so I bit the bullet and sent the Fenix back. I was genuinely sorry to see the Fenix go, as I’d hoped to use this as my main training aid for the Ironman, but it wasn’t to be.